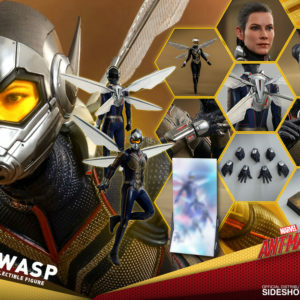 Once a Ravager, forever a Ravager. 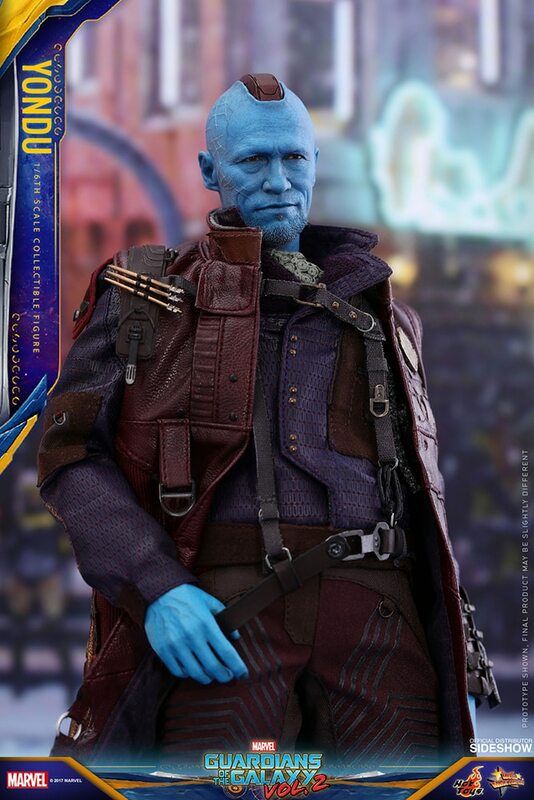 Yondu will always remain in our hearts. 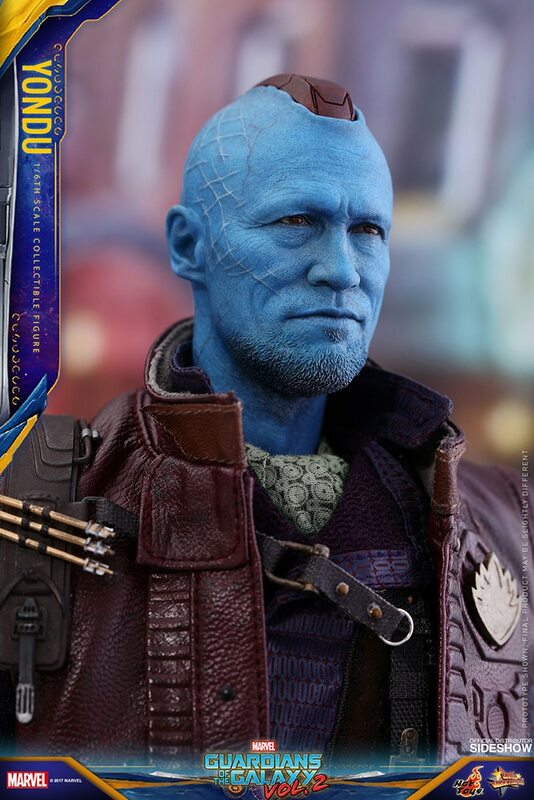 Years ago when Yondu was actively involved in child trafficking for Ego’s quest, Captain Stakar exiled him for violating the Ravager code. 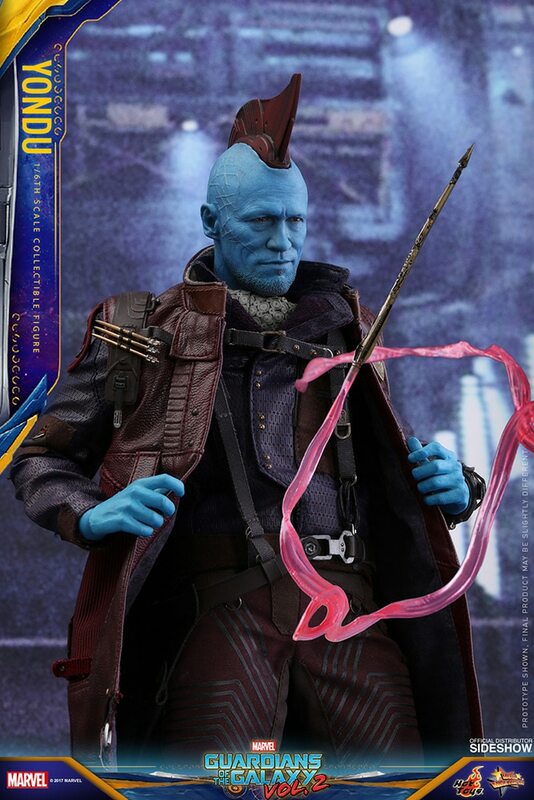 But after knowing the terrible fate the child will face, Yondu chose not to deliver Peter Quill (Star-Lord) to Ego and raised him instead; he even sacrificed himself to save his beloved son Star-Lord. 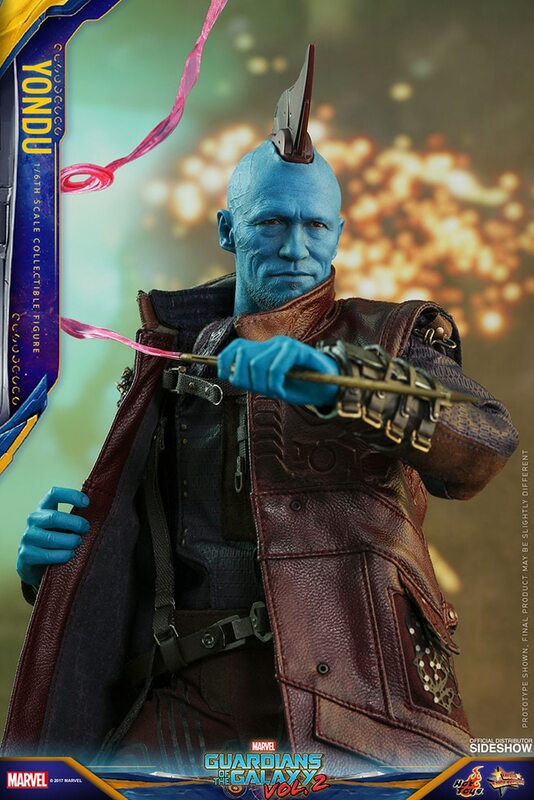 Sideshow and Hot Toys are pleased to dedicate to Marvel fans the sixth scale Yondu collectible figure in memory of his selfless act and his loyalty as a Ravager from Guardians of the Galaxy Vol.2. 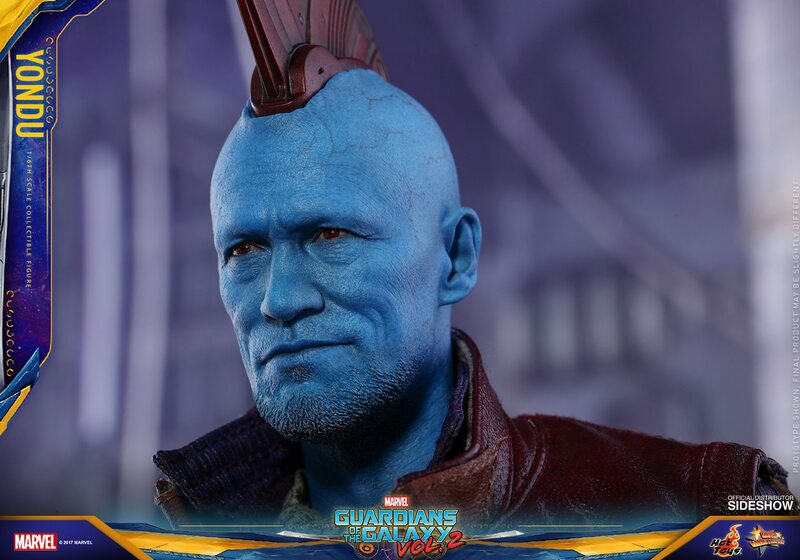 Expertly crafted based on the image of Michael Rooker as Yondu in the blockbuster, Guardians of Galaxy Vol. 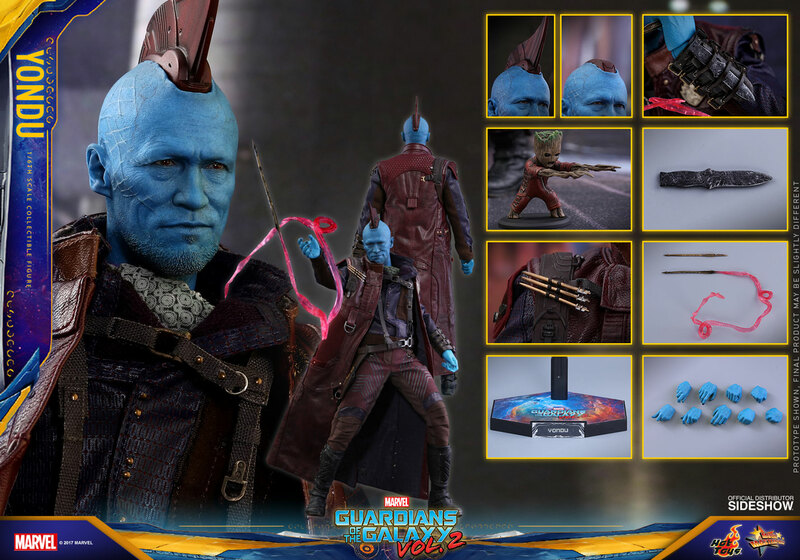 2, the sixth scale Yondu collectible figure is just phenomenal, highlighting the remarkable likeness. 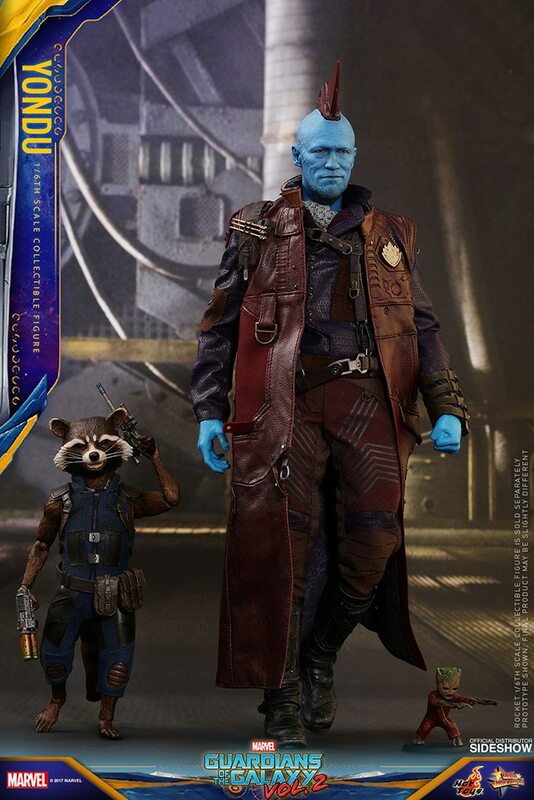 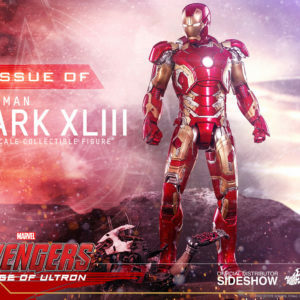 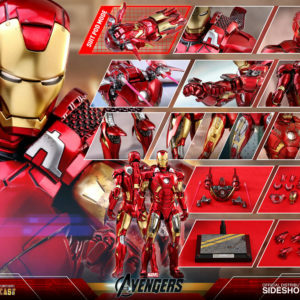 The figure features a newly developed head sculpt, interchangeable magnetic fin and the new “prototype” fin, an intricately tailored and highly detailed costume, a pair of suspenders with arrow holster, a dagger attached to the wrist holster, a specially designed figure base, and a miniature Baby Groot attacking in his Ravagers outfit! 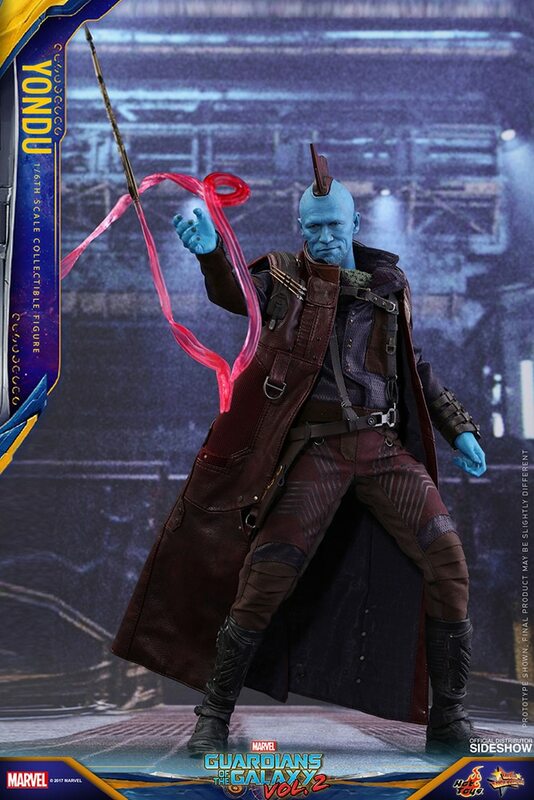 Now, head onto pre-order and own this meticulously crafted Yondu collectible figure. 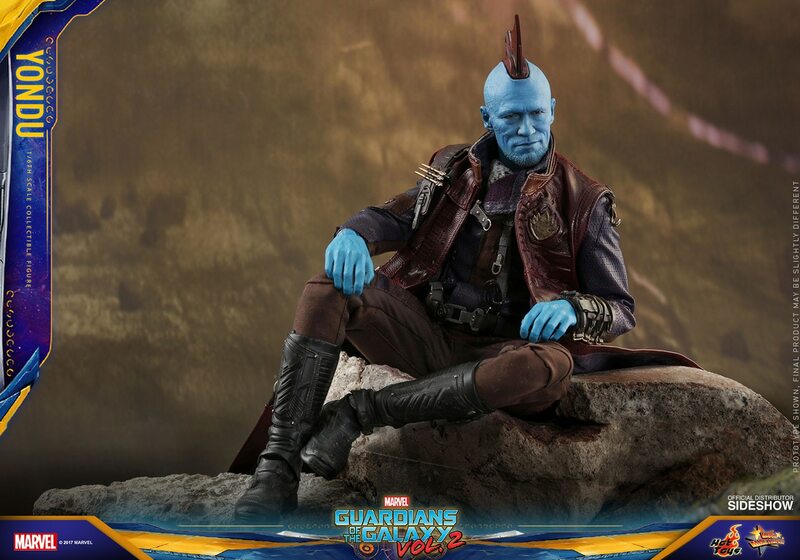 This new Guardian will be one of the coolest additions to your marvelous collection!